Join artists from across Perth to celebrate our positive vision for the future! By Supporting the Perth Greens you are supporting a people powered campaign, free of corporate influence, representing the issues that actually affect people in our society. Promoting a diverse society where equality is celebrated. 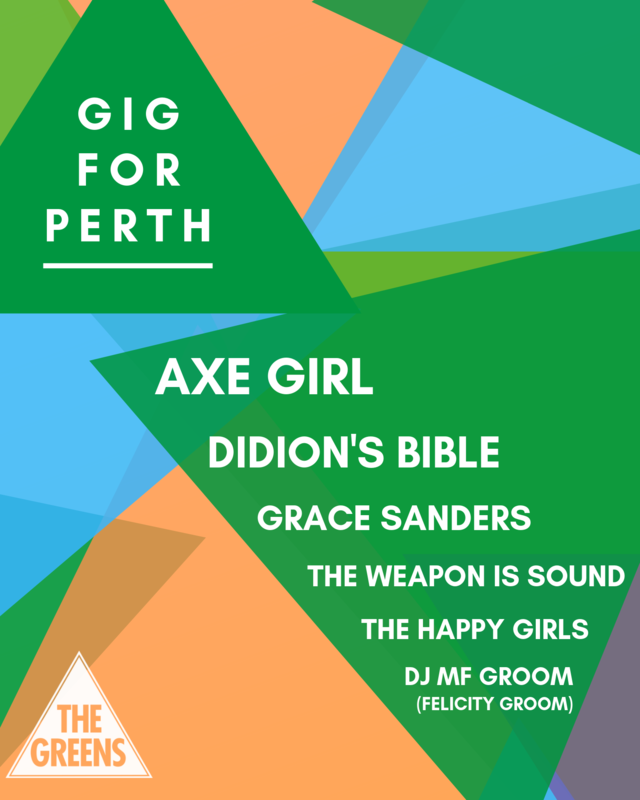 Escape the noise of an impending election by spending a night with musicians and like-minded people from across Perth. Authorised by Chilla Bulbeck & Matt Roberts, The Greens (WA), Office 1, 440 William St, Perth, Western Australia 6000.